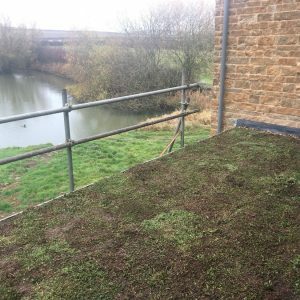 The team have been busy again! 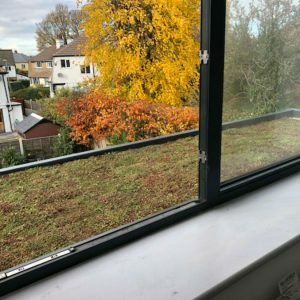 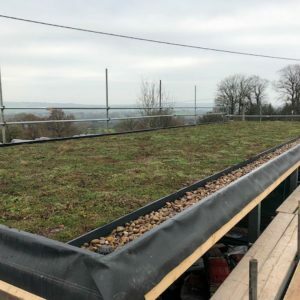 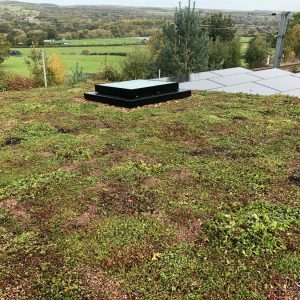 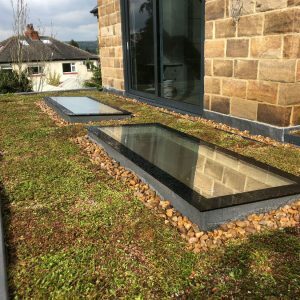 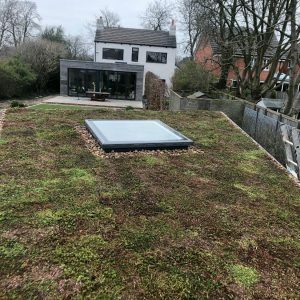 If you look carefully as well as our lovely sedum there are a couple of horizontal tension wires across the roof to keep people safe as they install and subsequently maintain the roof. 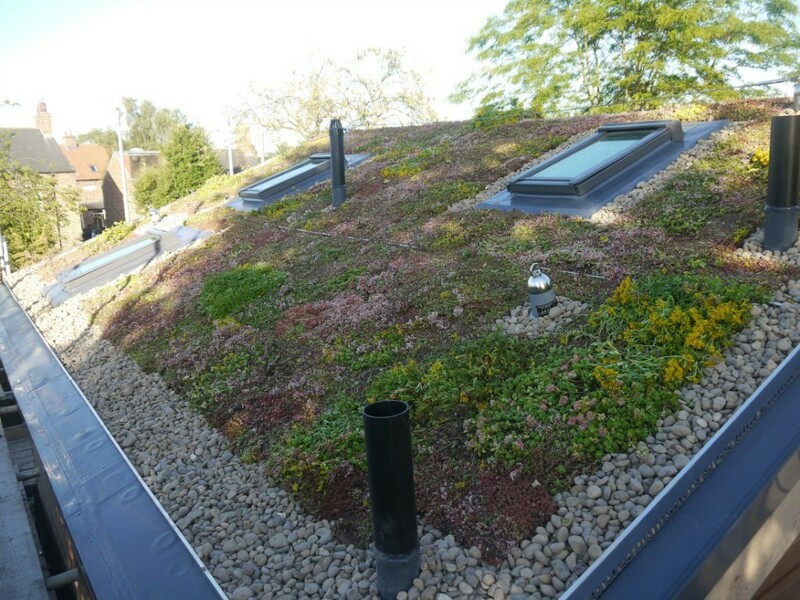 They disappear into the roof to some extent now and once the sedum really gets going they will be all but invisible from the ground.